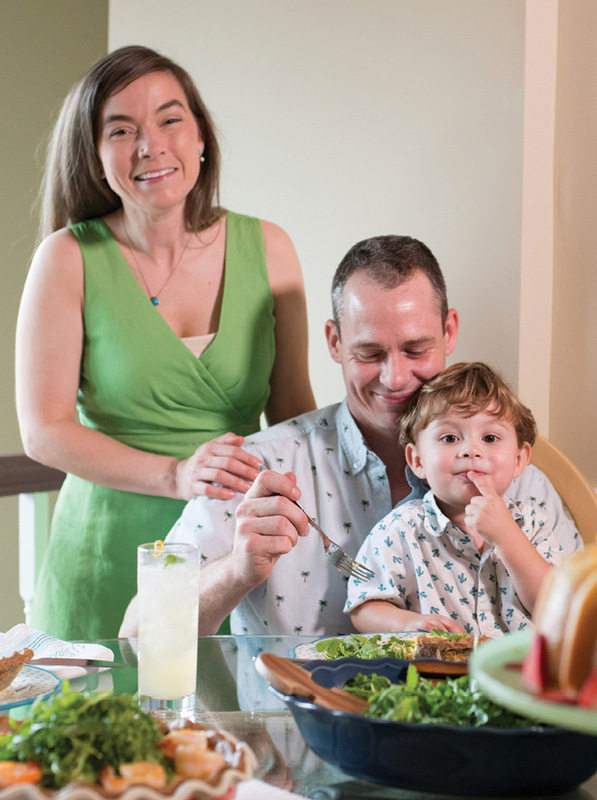 PHOTO: After a busy week, pastry chef Andrea Upchurch (left) joins husband Nate and son Dewey for a relaxed lunch of quiche, lemon cake, and gin fizzes. Andrea Upchurch calls herself a “well-seasoned South Carolinian,” having pin-balled around all areas of our state during her youth. 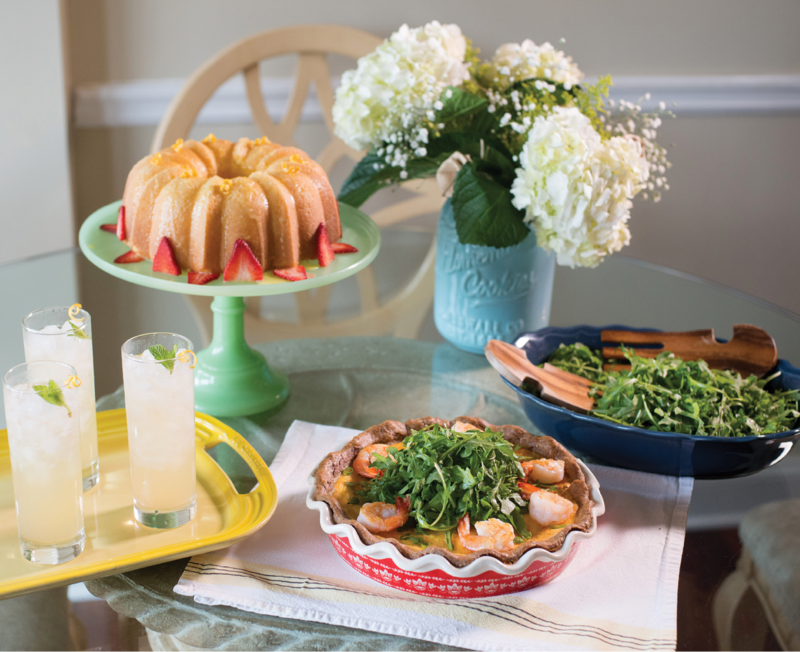 Though her family changed locales frequently for her parents’ business, gatherings around the table for weekend suppers remained fixed. “Sundays always meant fried chicken and cornbread,” she reminisces. 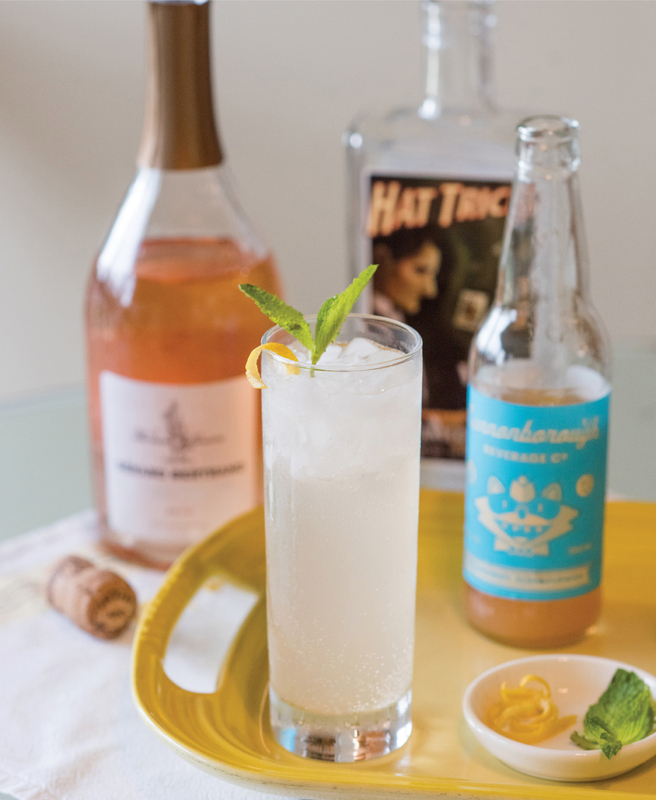 Weekends often allow her to slow down, enjoy family, sip a gin fizz, and flex her gastronomic training. 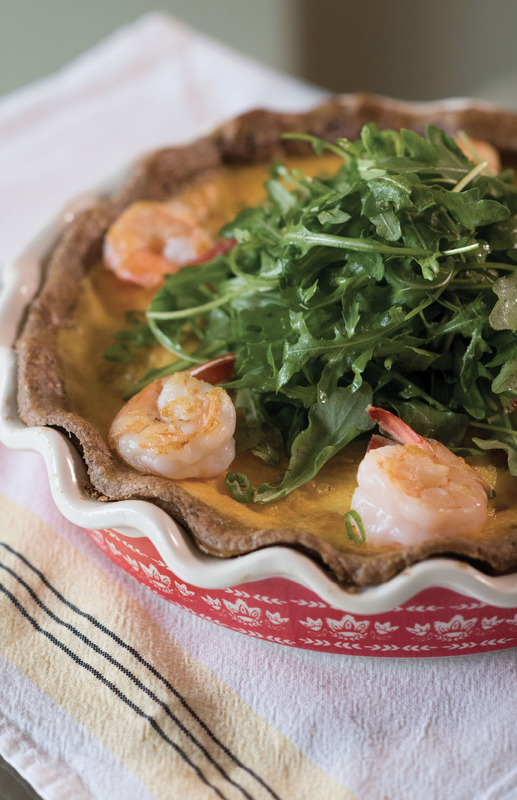 She plays up her pastry skills in a Lowcountry quiche brimming with fresh-off-the-boat McClellanville shrimp, pimiento cheese, and hickory-smoked bacon, all nestled into a cornmeal crust crafted with Geechie Boy Mill’s stone-ground kernels. 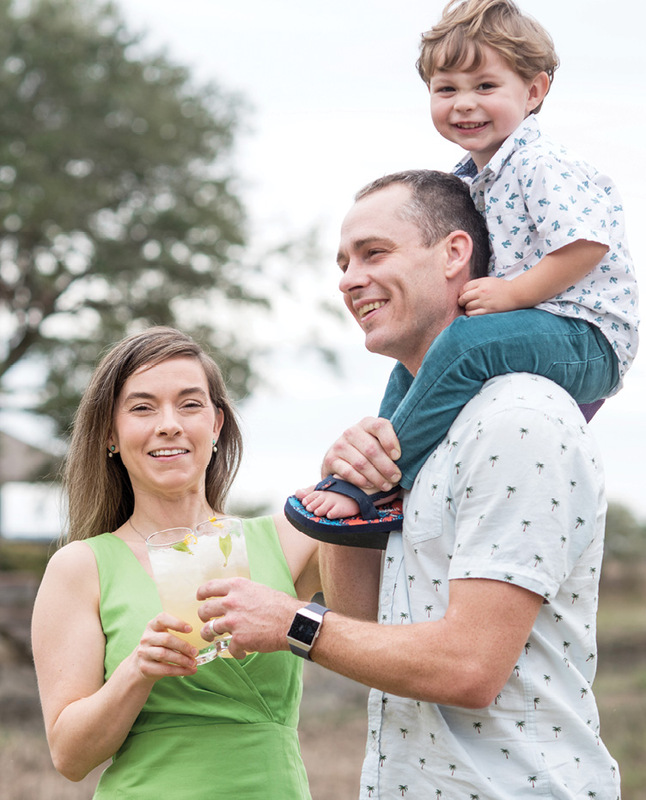 “I enjoy creating something that people can connect with, while still pushing it outside the box in my own way,” says Upchurch, whose dish pays homage to local farmers and purveyors. 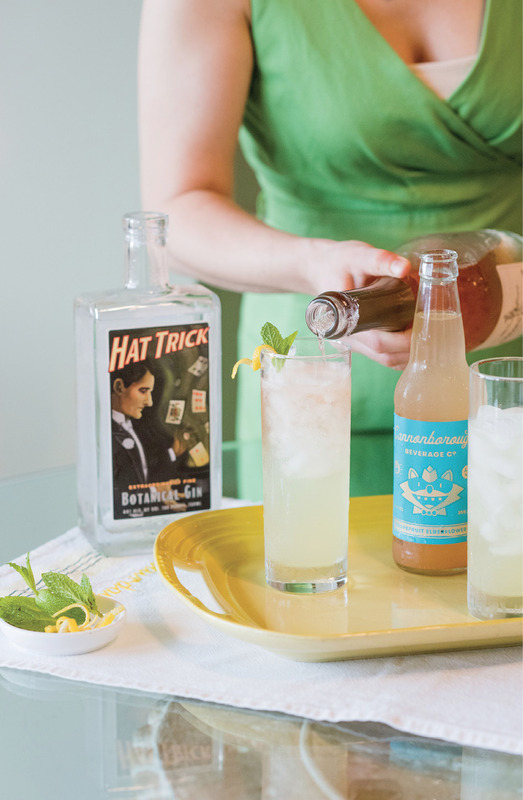 She opts for Magnolias’ whole-olive pimiento or the spicy jalapeño variety from Palmetto Cheese, and then shops Ted’s Butcher Block for bacon. 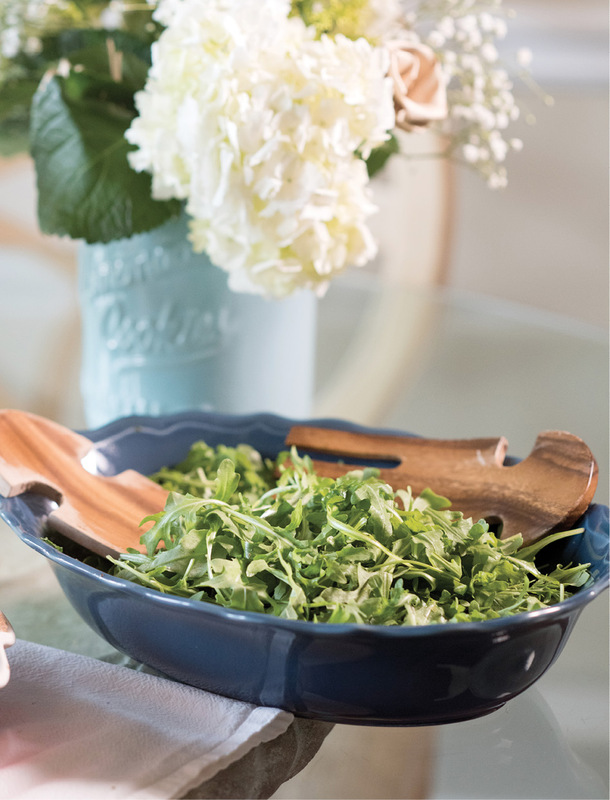 Thick-cut slices that have been crisped and hand-crumbled provide a crunch to the otherwise creamy main course. 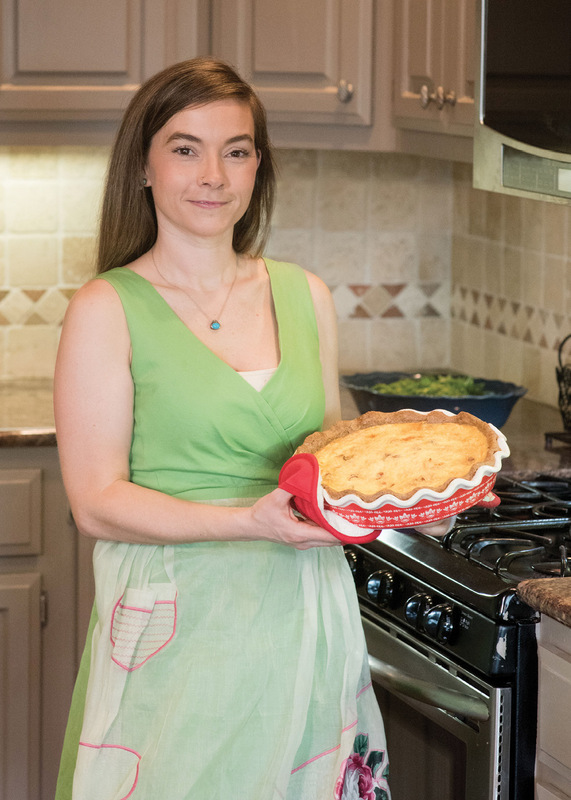 As she’s quickly advanced through the ranks with Hospitality Management Group, Upchurch has earned a reputation for reinventing classic desserts, but some dishes hold fast through the years. At home, her Nanny’s lemon “cheesecake” recipe remains largely unchanged since it was passed down from grandmother to mother to daughter. 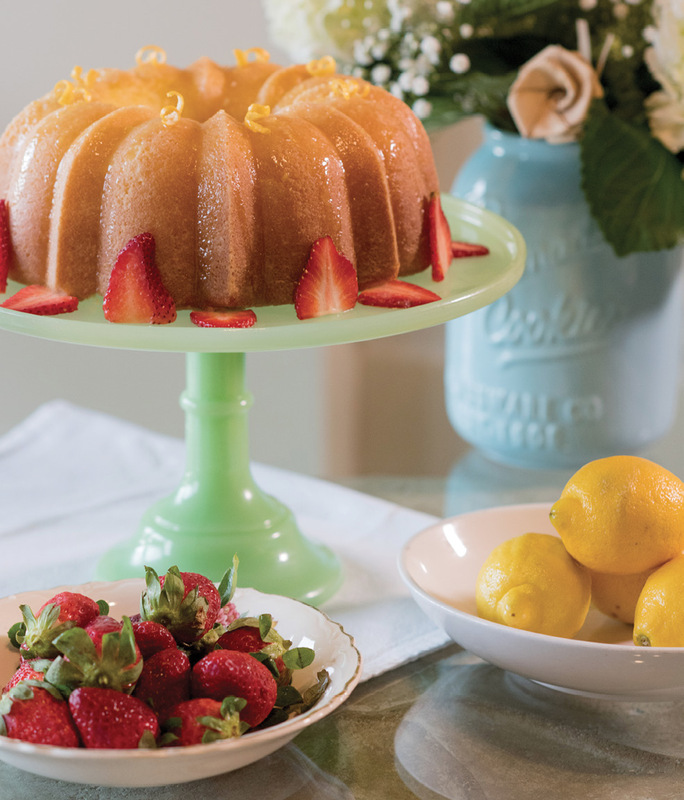 The bundt cake is drizzled in a glossy lemon-curd glaze and plated with macerated strawberries for a bright finish to the meal.